Last night was ‘dinner must be ready the moment we get home night’, so while it was a simple egg sandwich, I was able to have this recipe from Mom ready before the girls and I left the house. Mom thought she got it from either Chatelaine or Canadian Living but I couldn’t find it on the internet. 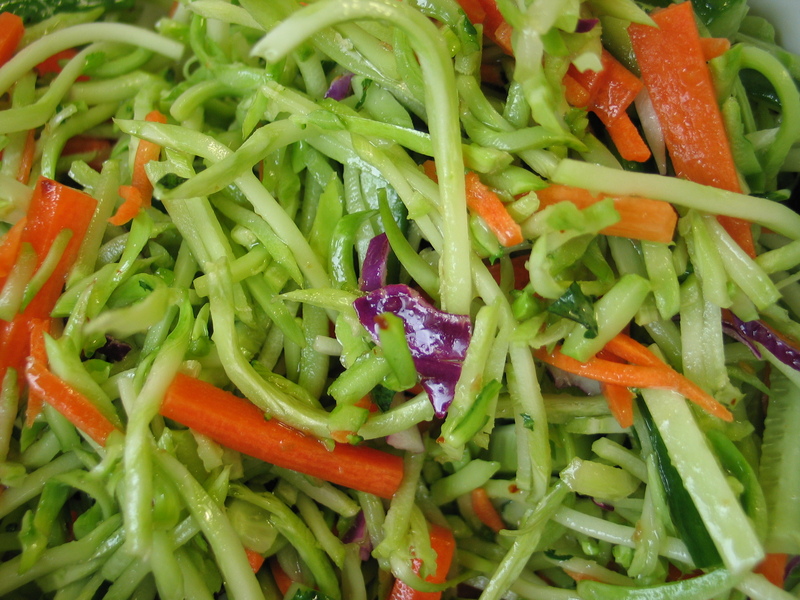 The original recipe used shredded cabbage, and it was Mom’s idea to use broccoli slaw. 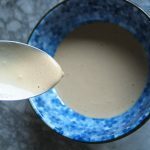 Put all of the dressing ingredients in a small pot over medium heat and cook and stir for a few minutes until the sugar has completely dissolved. Put all of the prepared vegetables into a large bowl, pour the hot dressing over all and toss to coat. We enjoyed this at room temperature, but you could also make it a few hours ahead and serve it chilled.